Amour Developers is a real estate development company that always strives to provide international quality ensuring the highest possible level of customer satisfaction. Amour Developers comes up with great business philosophy that lies in the commitment to create architectural marvels using state-of-the-art technology, global architectural techniques, constructional skills and business practices. 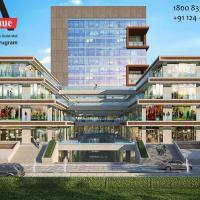 Some might call Amour Developers a Commercial Construction Real estate company, but in reality, it is beyond that all. We believe that we are a team of dreamers, thinkers, visionaries, and developers. We use architectural skills to make all these come to live in the form of stunning projects. We dont just use bricks and beams, we use hopes and dreams!